"Golf and The Great Outdoors"
Most people enter Waterville Ireland from the north as they travel anticlockwise around the Ring of Kerry. My approach to life is to try and experience things from a different perspective. In this case, by chance, I saw Waterville for the first time from the south as I came over the headland on foot, on the Kerry Way path. And the town of Waterville. This famous town sits overlooking the crescent beach which surrounds the bay. 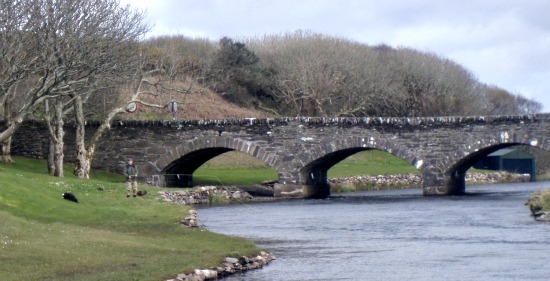 Less noticeable at the time was that Waterville is also backed by another mass of water in the form of a large lough (lake) known as Lough Currane. When I first arrived in Ireland I knew there were many great golf courses. How could there not be with so much beautiful green countryside? However, I was unaware that two of the most famous and picturesque golf courses in the world are in County Kerry. Waterville Golf Course is one of them! ...the other is Ballybunion Golf Course. 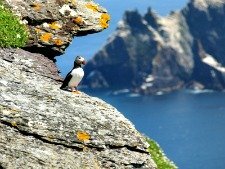 This makes County Kerry a mecca for any golf lover, especially if you enjoy the challenge posed by a links course. Recently Waterville was voted the 34th best golf course in the world. Having seen it's location I find this hardly surprising. Tom Fazio who previously worked on Augusta National and Pine Valley has recently helped to sympathetically redevelop the course. "The setting is one of the best I have seen for golf." Tiger Woods, Ernie Els, Jim Furyk and Mark O'meara are just some great names to have played this course over the years. 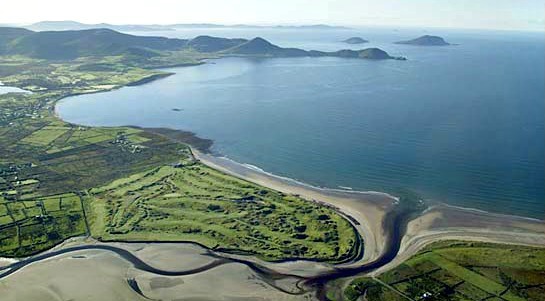 In 2006 a second course, called Skellig Bay Golf Course, was developed in Waterville Ireland. This has already gained some recognition and was recently voted 67th best course in the UK and Ireland. sea trout and salmon fishing. Photos of happy fishermen holding specimen fish appear everywhere! And it is clear that the people of Waterville are full of humour and have plenty of experience in looking after anglers. 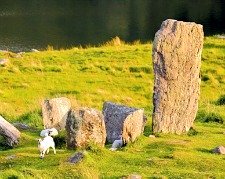 Lough Currane covers 2500 acres and is only seperated from the Atlantic Ocean by a 500m stretch of the Cunneragh River. Locally there are many ghillies who can provide a boat, any fishing gear that you need as well as many years of local knowledge. Depending on water conditions the upper parts of the Cunneragh River and accompanying Loughs also offer great fishing. Times - Salmon season runs from the 17th January to the end of September and the world famous sea trout are best in June and July. Something I am very keen to try is fly fishing for Bass from the shoreline. Waterville and the surrounding coast is excellent for this lesser known type of fishing and if the sea is calm it is also possible to fish from sea kayaks. A local guide is essential as conditions can change quickly.